It is difficult to slow Carrie Tyree down. She has worked for 18 years at Big Bend 2-1-1 where she is currently a Phone Room Supervisor. However, when she fell and broke her hip in December 2017 she was forced to miss weeks of work and could not leave her house without assistance. Tyree was already living with mobility issues from a partial spinal cord injury she experienced 25 years ago following a diving accident. 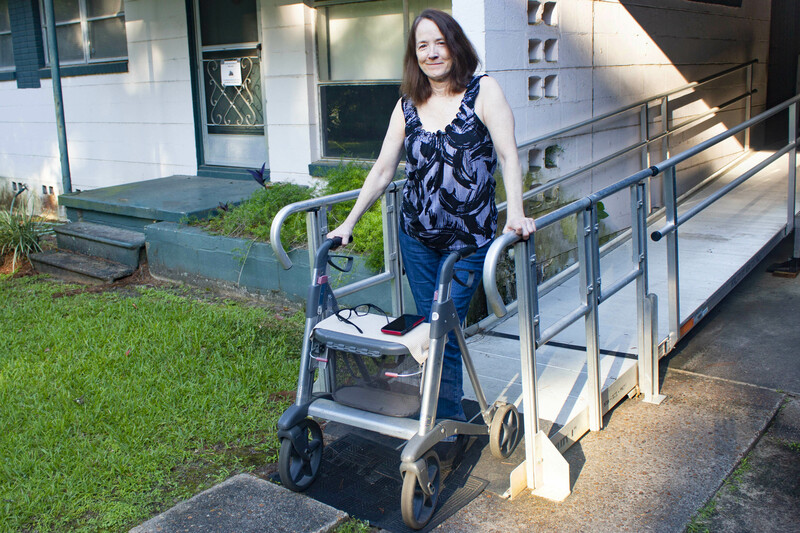 The broken hip in addition to the spinal cord injury left her using a walker and essentially unable to leave her home. She said her experience with Ability1st was great. “Marquesas was professional and empathetic. And Eric, a construction vendor with Ability1st, was so enthusiastic. He asked me for a broom and I told him I couldn’t get it because my closet door was stuck. Eric took the closet door off the hinges, sanded it down and rehung it. It opens now. He didn’t have to do that,” she said. 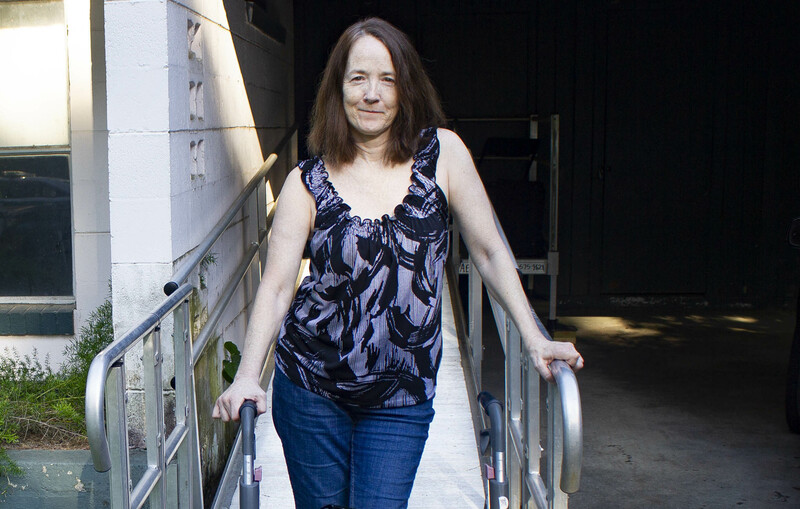 “I get satisfaction from working, and before they installed the ramp, I couldn’t get to my job. I only left the house once,” said Tyree. “I didn’t want to ask for help all the time, even though friends were willing to help. I wanted to be independent.” Tyree returned to work February 15, less than 24 hours after the ramp was completed. How you can help - Financial gifts and volunteer labor play an integral part of the program. Volunteers enabled us to fund and complete more than 150 ramp and half-step builds and metal modular ramp system installations last fiscal year.